Everyone knows what a sheet set is. However, since everyone also has their own ideas about what a sheet set should be, let’s elaborate. 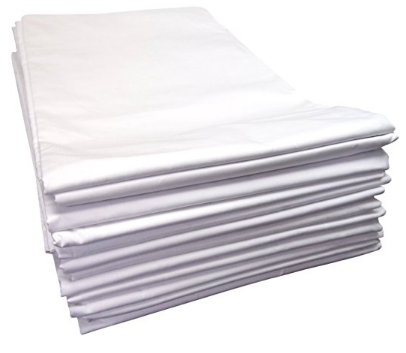 Essentially, a sheet set is any number of sheets sold as a single item. It might or might not include pillowcases, duvets or other bedclothes that are not sheets. The price of the best sheet sets depend on the materials and the weave, the number of items in the sets also affects the price. A standard sheet set includes a flat sheet, a fitted sheet and, depending on the size, one or several pillowcases. The fitted sheet is put on the mattress first. Some of the best models have elastic on all sides. That facilitates the process of putting the sheet on the bed and, additionally, it holds it in place. Of course, not every fitted sheet is equipped with elastic. But many are. The flat sheet and the pillowcases may or may not have a several-inch hem. Its primary function is to improve the design, but it might also be practical since such a sheet covers a larger area than a standard one. A multi-pack sheet set is a set of identical sheets, typically flat sheets, although fitted sheets may also come in packs. There’s nothing particularly unusual about that. What’s worth a mention, though, is that such sheets are not intended for home use and using them that way would be very costly. That said, some of the cheapest sheets might still prove useful for home use. Who needs such sheets, then? As a rule, the answer is charity organizations, hotel businesses and hospitals, anything that has several or several dozens of uniform beds. Of course, if you have a lot of kids, you might be one of those people who might find a use for, say, six identical sheets. Cheep multi-pack sets offer expendable sheets you can throw away and replace as you need. If there is a universal parameter for sheets, it is the thread count. While not fundamentally paramount, it is still important to estimate the suitability of a sheet or, indeed, a sheet set. On the other hand, it is not very practical since it’s hard to find sheets with a TC small enough to make them suboptimal. Still, the TC directly affects how a sheet feels, although it’s hard to tell what the best thread count for sheets is. Another thing worth mention is the material. 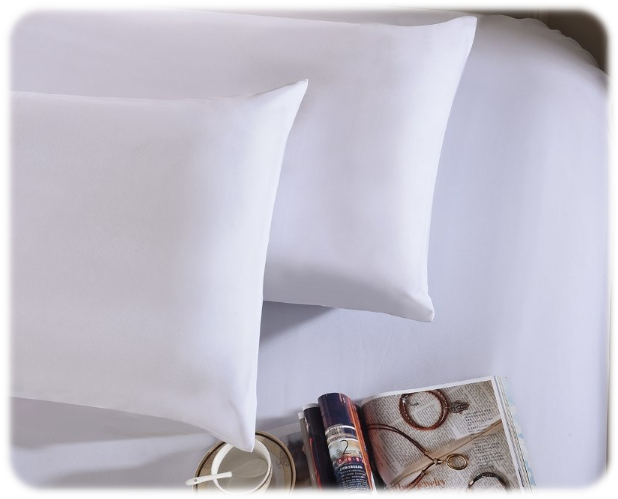 Pure cotton sheets tend to wrinkle and pill. Flannel sheets pill even more so. Microfiber and polyester sheets are resistant to both of those factors. I’d like to note that neither the thread count nor the material is enough to make a sheet set perfect. They are worth paying attention to, but they do not make a sheet set perfect, rather, they can make it unfit should they not be enough. What matters most, then? The answer is simple. If the fitted sheet is deep enough, if the flat sheet has a hem, if the set has any extra features, only then can it be considered special. A perfect example of a multipack sheet set. It is one of those sheet set that can be used at home. Of course, they are better suitable for those who need many sheets, to begin with. If you run a hotel, you should consider purchasing this set. You will get a dozen of high-quality cheap sheets. The thread count is not very high and constitutes 180 threads per inch. While low, this number is still adequate. If you get this set for using at home, it’s definitely going to last. Each individual sheet, however, is far from durable. They will be perfectly intact after ten washes, but that’s the limit. On the other hand, you get twelve of them. That means at least 120 washes per set. 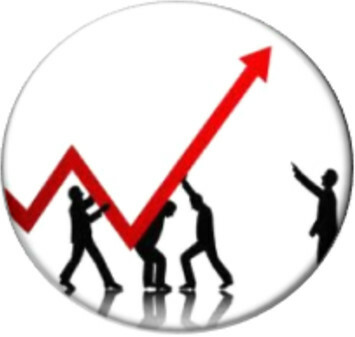 Add to that the fact that they can handle more in reality, and you will see you get an even better deal. 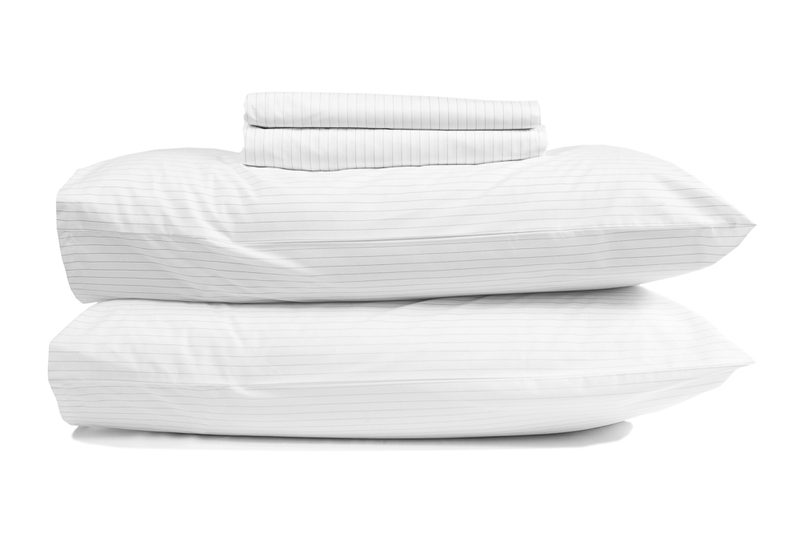 The sheets are wrinkle-resistant, they do not shrink or pill much. 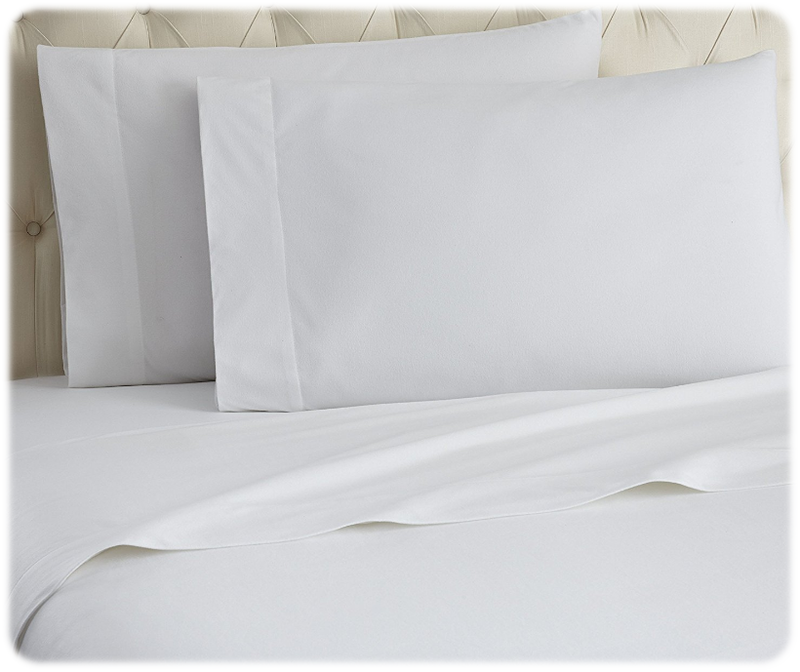 Polyester is the reason for the former, and percale weave inhibits pilling. This is not a sheet set for everyone. And the price is not the only thing deterring people from buying it. These sheets are made from microfiber, which is a deal breaker for many people. Although microfiber is very durable soft and comfortable in reality, it is still a synthetic material, and that is why many prefer not to use. The sheets are quite lustrous. Perhaps, they are expensive but no more expensive than other high-quality sheets. In fact, they are cheaper than sheets that can offer a similar level of luxury. Not cheap, but affordable nonetheless. Although it’s definitely not for those who prefer organic sheets because this one is anything but. The fact it is a synthetic blend, the sheets do not pill, wrinkle or shrink. You can wash them without worrying about those issues. And they are just as warm as standard flannel sheets made from 100% cotton. In the end, the choice depends on whether you don’t mind against polyester blends. Just remember that this set is much easier to take care of than any standard sets sewn from organic fibers. First of all, this set comes in ten color schemes and six sizes. That is quite a variety to choose from. The sheets are exceptionally cheap, and you could get a new set every few week should you choose that. Not that such a course of action is recommended, of course, but I hope that gives you an idea of how cheap this set is. The sheets are made from polyester microfiber and are imported. Some of you might not appreciate that, so I’m warning you now. The pocket sheet is not very deep and can only accommodate mattresses up to 16”, perhaps an inch or two deeper if you really stretch it. But, hey, it’s cheap. That’s only to be expected. At least it doesn’t wrinkle at all and is really easy to wash. The sheets are warm, cozy and simply too comfortable. You will not want to get out of the bed with this set. And that is, perhaps, the best thing anyone can say about a set of sheets. How to avoid disappointment? Simply get this set and use it to your heart’s content. On a more serious note, this set is indeed one of the best you can find on the market. I don’t know anyone who was disappointed after buying it. It is not the cheapest set you can find, especially considering the fact it is made from microfiber. But it’s really worth its money. 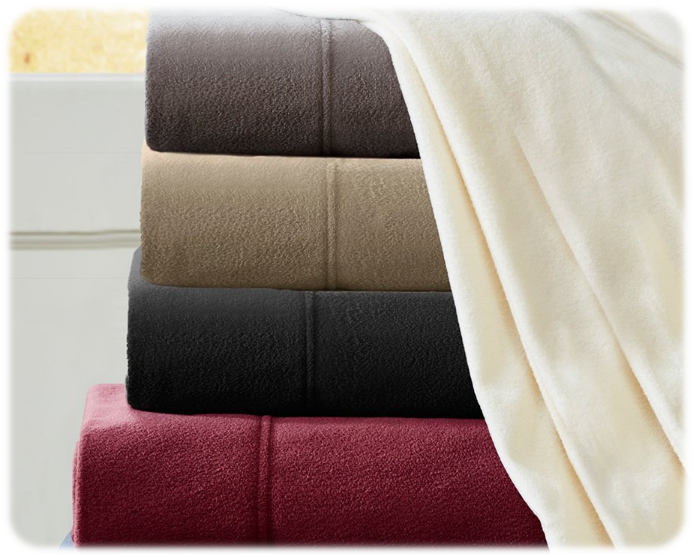 Of course, this set has all the qualities microfiber sheets have. The sheets are durable, they do not pill, shrink, or wrinkle. However, these are not mere microfiber sheets. They are made from microfleece. And that automatically means they are warm and very soft. Microfleece is very pleasant to the touch. And of course, these sheets are breathable. Worrying about getting these sheets stained? Don’t! 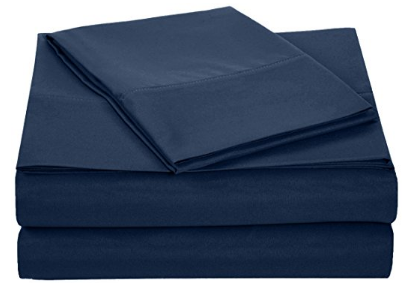 They are even more stain resistant than regular microfiber sheets. As for the composition of the set, it includes a flat sheet, a couple of pillowcases and a deep pocket sheet suitable for mattresses up to 16”. A good deal. The best sheets to fall asleep on. Again, a microfiber sheet, which is also extra-durable, extra-breathable, extra-stylish and extra-luxury. Of course, it isn’t really a luxury sheet set. At least, not if we consider the price, it is too low for the set to qualify as “luxury.” But isn’t that a good thing? I believe so. These sheets are brushed on both sides, which what makes them so good and warm. On top of that, you don’t have to worry about stains. This is a standard sheet it. It comes with a couple of pillowcases with a 3-inch hem, a flat sheet and a deep pocket sheet that fits mattresses up to 16 inches. As expected, the sheets are resistant to a lot of factors. The most significant of those are wrinkles, pilling, stains, and dust mites. The latter means the set is a perfect match for anyone who suffers from allergies. It is a well-known fact that dust mites and allergy are a dangerous combination. I should also note that the sheet is very dense and heavy. It may not sound like an attractive quality, but it actually is, especially considering how fine microfiber typically is. 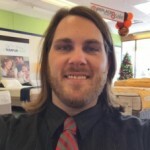 As you can see, many of the sheet sets in this review are either microfiber or synthetic blends. That is no coincidence. Synthetic fabrics and synthetic blends are capable of offering the best price and quality ratio. Unlike such fabrics as cotton and linen they do not wrinkle, they do not pill nearly as much as cotton and flannel and comparing their price to that of silk or bamboo fabric is not even funny. That said, good sheet sets are not limited to synthetics. There are many other excellent sheet sets. But they can hardly compete with the sets in this review due to the difference in how affordable they are.